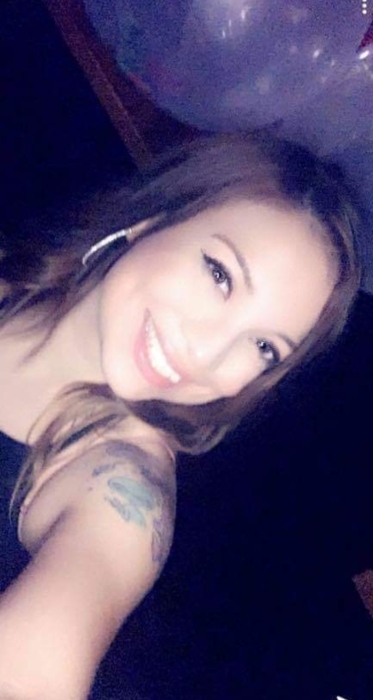 Priscilla Ivette Muñiz, 29, passed away on Monday, April 15, 2019 in Laredo, Texas. She is preceded in death by her paternal grandmother, Edith F. Hernandez. Left to cherish her memory are her daughters, Megan Nicole Muñiz and Ryah Issasi; father of her children, Gabriel Issasi; parents, Jorge Pedro (Veronica) Muñiz and Rosa Castillo Muñiz; siblings, Jorge Pedro (Karla Garcia) Muñiz, Alejandro (Alicia) Ortiz, Carlos (Lizbeth) Ortiz, Esperanza Lopez, Antonio Lopez, Marializa Lopez, and Rodolfo Lopez; aunt, Patricia Clemens (Joe Valdez). She is also survived by aunts, uncles, cousins, other relatives and friends. A prayer service will be held on Friday, April 19, 2019 at 7:00 p.m. at Gamez & Sons Funeral and Cremation Services. Visitation will be held from 5:00 p.m. to 9:00 p.m. Cremation will be held at a later date.